Temperature dip! MANY riders were worried about the winter ride. BUT all were determined to visit the school, and spend some time with the kids, not to mention, enjoy the ride too! We started on time, and first few kms were kind of slow…but as we approached Pirangut ghat, everyone was comfortable riding. BIG slope and we all went for the speed. We decided to ride more and more before we break for snacks, as the weather was perfect and we werent hungry enough to cut the tempo. At Mulshi – we had MISSILE – (Misal Pav) and were off to Tamhini. Pankh Team reached early at the school, the session was about Drug Addiction – What are the consequences, how is the life affected, how to get rid off it etc. 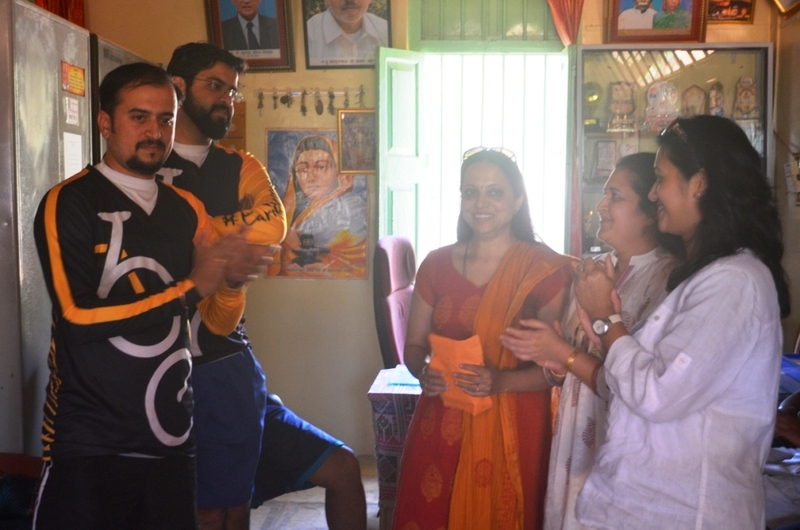 Very effective posters were displayed at the school and counselors were conducting lectures when our cycle team reached. We too, attended the class , saw some slides. Later, student took a pledge to stay away from Drug Addiction. We went around the school, saw their science lab, some brilliant experiments done by the students. School kids went off, kids at the hostel were there. We had awesome lunch together. Nicely made simple food! Let us see some ride stats. We collected total of Rs 68,700 . Total Riders were 12 , of which 2 completed 100kms to and fro on the same day (woof! awesome that is) , 2 completed the ride one-way (they came back on the same day but towed their cycles) , other 8 completed ride over the weekend. AND yes, people who stayed , had a fantastic time! Total sum of Rs 68,700 handed over to Smita Apte, Pankh. This fund will be used for conducting sessions in 3 schools. Here is a letter from Pankh. After a quick nap, we played volleyball, cricket and kho-kho with the kids. Everyone enjoyed to the core, the kids were brilliant when it came to speed, agility and skills. Post dinner it was SHEKOTI time, some songs, jokes, and dancing too! 4 students performed a small skit – ban alcohol ! We all were stretching the night, never wanted to end the warmth! Early morning, we started our journey back to Pune. With Unlimited Blessings earned, we cycled with more energy! Big thanks to all the donors, Udit/Neha/Aparna for being the strongest back-up ever. Bharat and Ajay for tagging along. Mihir and Rajesh for being awesome source of inspiration and riding to and fro on the same day! Thanks a lot Smita Apte from Pankh, for carrying out awesome campaigns. 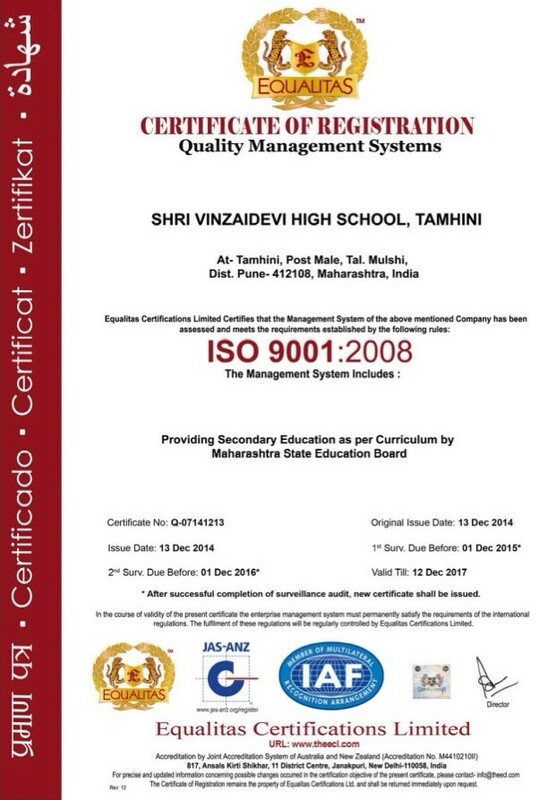 The name of the school is vinzaidev high school locate at tamhini, dist- Pune. Total no of students studying here are 150. Out of which 30 boys are staying in the hostel. These students are majorly from the hills areas.(katkari). The ratio of girls and boys in their school is almost equal. Initially the school only had 11 students and was till 4. Late Shri B.G. Deshmukh ( restd IAS officer ) principal secretary and cabinet secretary to prime minister ) adopted this school in the year 1997. Since then the school has developed to a great extend and has recently got ISO Certiifcation.